The Hurtta Free Hand Leash comes with a patented padded handgrip that frees up your hand yet still allows you to control your dog. Hand grip is soft, padded neoprene and attaches to either hand (fits all size hands) securely with hook and loop closures. The comfortable grip fits snug against your skin, has a thumb hole to keep handle secured to your hand, and provides a little stretch to help absorb pulls. 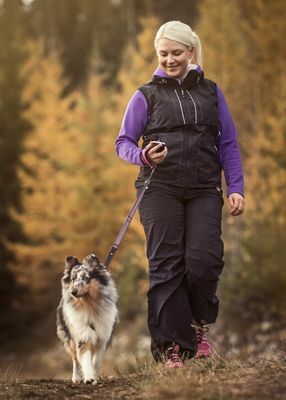 Especially designed for running and Nordic walking, the Hurtta Free Hand leash is also easy to use when pushing a child stroller, using a mobile device, taking a quick drink, and other things that involve needing both hands and fingers to be free. The Free Hand Lead is also ideal for those with less strength in their hands, such as older adults, or those with arthritis. It lets you keep your fingers free yet gives you a grip on the lead. 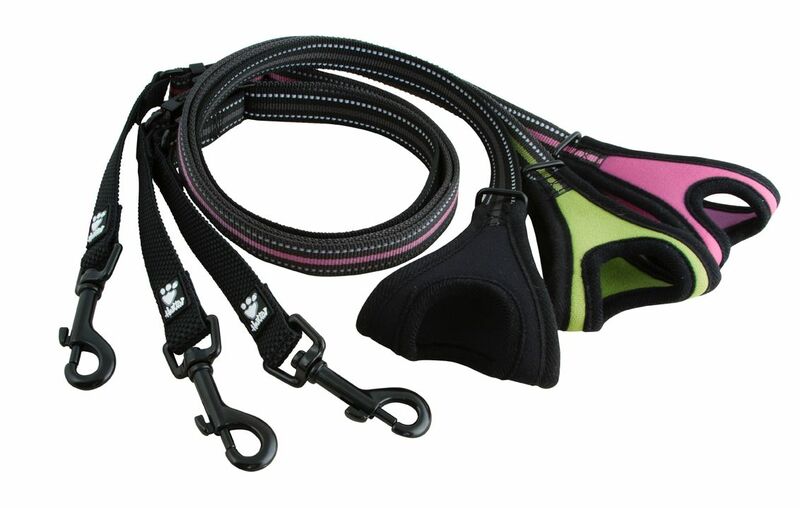 The leash itself is adjustable in length from 3 ft to 5 ft depending on dog size and contains reflective 3M stitching for high visibility. Copyright© 2018 The Dog Outdoors - A Division of Daughtry Enterprises, LLC All Rights Reserved - Austin TX.